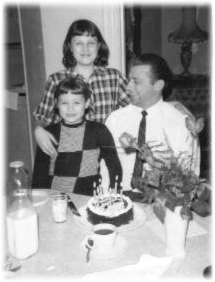 The journey began in the late 1990s, when my dad was diagnosed with vascular dementia - a degenerative disease whose symptoms closely mimic Alzheimer's. As a family, we made the decision to care for dad at home. At the time, I don't think any of us were prepared for the challenges we would face. As caregivers, we were constantly confronted with tough decisions, new puzzles to solve, and new hurdles to overcome. At times, the situation seemed hopeless and beyond our capabilities. But with a lot of love and support, we were able to keep dad home until the end. But the story doesn't end there. A few years before my father passed, I also had to take into my home an aunt, who had recently broken both of her hips and was beginning to display the now all-too-familiar signs of Alzheimer's (she was later diagnosed with lewy body dementia). The role of dual caregiver became my life and, needless to say, it was pretty overwhelming. Though spending nearly 15-years caring these loved ones was physically and emotionally draining, it was also an immensely rewarding experience. And I learned a lot! As their journeys ended, I was left feeling empty and began to wonder how could I make a difference in the lives of other seniors and families caring for aging loved ones. One day, I noticed that my mom and her sister (my aunt) would call each other once or twice per day to ""check-in" and make sure everything was okay. They enjoyed talking to each other, but I think their routine calls also provided them a sense of security. It occurred to me that there must be others out there who would also appreciate having someone to check-in and chat with each day but, for whatever reason, didn't have anyone. And that is essentially how CareCheckers was born. We are here to "check-in" on you or a loved one each day. We are here to help in any way that we can. If we can brighten someone's day and make them smile, then we know we have accomplished our goal. And rest assured, we will treat you or your loved one like a member of our own family!